Recent surge in Lithium America's stock price. Solid five-year share value appreciation in spite of a down year during 2018. Advancing two major lithium projects. 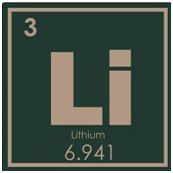 A shift toward lithium hydroxide. I last reviewed Lithium Americas (LAC) last August 20 as part of an eleven-article series about lithium that appeared in Seeking Alpha between June and August 2018. Also cited are three other major lithium producers for comparative review during the intervening period. At this recent writing, please note in the chart below that LAC share value closed at 4.21. 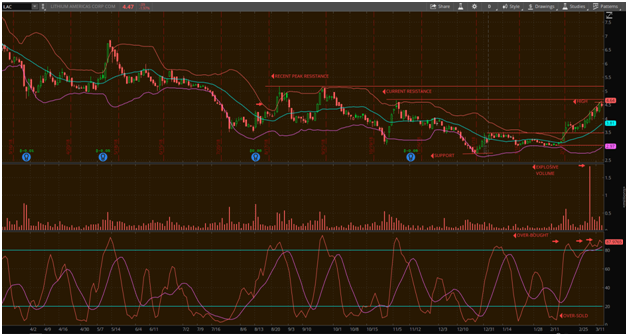 A February 19 breakout from a consolidation point of about 3.12 with explosive volume on March 7 is clearly noted. At this writing, the chart indicates a stock price of 4.50 which has broken above previous resistance at 4.36. The Stochastic reflects a steep climb from a very oversold condition below 20% to overbought above 80%. It appears that investors may be looking at this junior producer from an oversold position anticipating future growth. Notably, 2018 was marked somewhat by unfounded lithium oversupply fears, among other factors that spooked the market. September 2018 saw the spot price for lithium carbonate in China down 4.66% and this helped to eventually drive stock prices down 50%. In my opinion, this market reaction represents an excellent buying opportunity for investors eager to get in or accumulate more shares, especially for LAC. So far, 2019 is shaping up like a recovery year for lithium. As an up and coming junior player, the shareholder graphic below for LAC shows solid five-year stock appreciation. In addition, please note the exceptional 7.6% price increase during a very recent seven-day period and a 34% increase during the last 90 days. 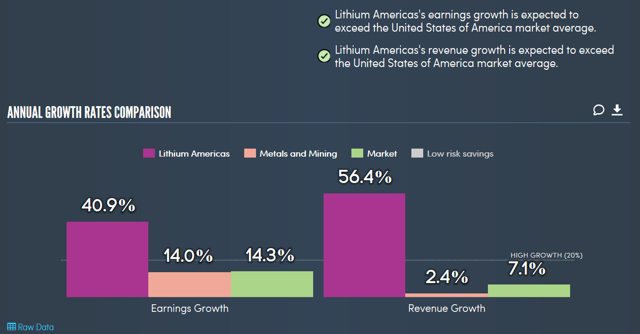 Source: Permission Simply Wall St.
Expectations for continued EV growth appear strong in 2019 and it portends a strong recovery for lithium miners which suffered shareholder losses in 2018. As such, LAC, a junior near-term funded producer continues to make progress and can do well in the coming years as funding is the key among all the juniors. Expected consolidations within the sector will focus on successful lithium juniors as acquisition targets, making them highly attractive to investors. LAC is on the cusp focused on advancing the Cauchari-Olaroz project in Jujuy, Argentina, and Thacker Pass project in Nevada to production. Cauchari-Olaroz is currently in construction with first production targeted by 2020. Thacker Pass is completing detailed engineering and permitting with construction also expected to begin in 2020. The Cauchari-Olaroz lithium project located in Argentina is 100% owned by Minera Exar as a joint venture with Lithium Americas owning 62.5% of the project and 37.5% by Ganfeng Lithium. Thacker Pass, located in Nevada is the only U.S. lithium mining operation. Of note, the project is considering the production of lithium hydroxide directly from lithium sulfate. Clearly, that is important for investors to know since currently there is a shift toward producing lithium hydroxide-intensive cathodes. If successful, this bodes well for the Thacker Pass project and LAC. A recent report by Investing News estimates that 534,000 tonnes will be needed to produce 44% of megafactory cathode production by 2028. 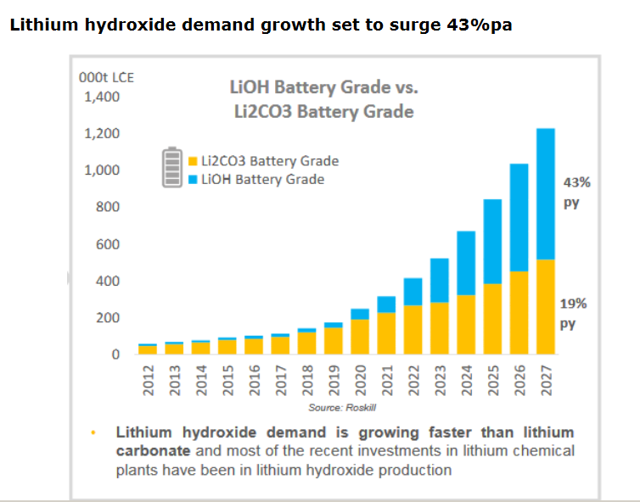 Future projections for lithium hydroxide demand are depicted in the following chart. A key for LAC is success in implementing lithium hydroxide production at the Thacker Pass Project and investors should closely monitor future results. Expected annual earnings and revenue growth for Lithium Americas during the next one to three years is 40.9% and 56.4%, respectively, dwarfing mining and metals, the stock markets and low-risk savings. Source: Permission imply Wall St. Estimated revenue growth is projected for 2020 with earnings growth delayed until 2022. As I have reiterated in previous articles, it is early times for major growth in lithium investments. It is also a good time to develop the best core holdings at reasonable prices. It is primarily a question of whether you believe the paradigm shift to electric powered devices is real. Some ongoing questions may help you to monitor the sector. Growth expectations in the above graphic project a timeline for LAC which I believe is realistic and corresponds with growth expectations for the industry. Of critical importance, demand for lithium, batteries and electric vehicles must grow exponentially as the paradigm shift moves forward. 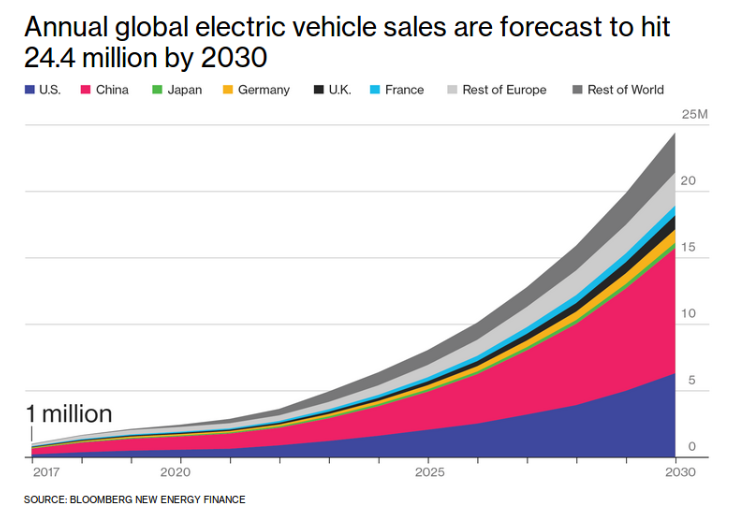 I expect accelerated growth in vastly improved electric battery power to drive lithium companies' growth as electric vehicles become more ubiquitous. This allows you, the investor, a window of opportunity to select and develop holdings in the best junior and mature companies in the sector. I consider LAC a strong junior lithium producer for the reasons given in this article and expect to continue my coverage of LAC and other lithium sources in future reviews. Please stay tuned by clicking on "Follow." Disclosure: I am/we are long LAC. I wrote this article myself, and it expresses my own opinions. I am not receiving compensation for it (other than from Seeking Alpha). I have no business relationship with any company whose stock is mentioned in this article. Additional disclosure: Author Disclosure: The information and data that comprise this article came from external sources that I consider reliable, but they were not independently verified for accuracy. Points of view are my considered opinions, not investment advice. I bear no responsibility for investment decisions you decide to make.